PM's Honest & Gutsy Answer To: What is the secret to your energy? PM’s Honest & Gutsy Answer To: What Is The Secret To Your Energy? 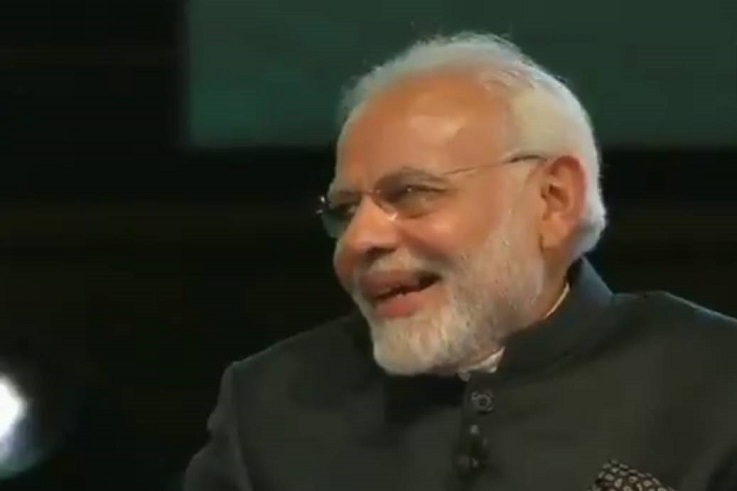 During a live session of ‘Bharat Ki Baat, Sabke Saath’ in UK, a youth from the audience asked PM Modi – “What is the secret to your energy and stamina, so we can all use that?” You would not believe the 100% honest answer he gave in hindi in a lighthearted manner which touched the hearts of lakhs and lakhs of people. PM Modi said, “Kareeb-kareeb 20 saal se..daily…1 kg…2kg…gaaliyan khata hoon.” The audience burst into laughing. PM also said he is not against criticism. “But to criticise, one has to research and find proper facts. Sadly this does not happen now. What happens instead is allegations. Criticism makes democracy strong. Democracy cannot succeed without constructive criticism”. So think about it. WHICH LEADER IN INDIA EVER OR EVEN WORLD OVER HAS RECEIVED THIS LEVEL OF EXTREMELY ABUSIVE AND NON-STOP CRITICISM? Indian media and western media should especially take note.